In other news, Trek's album "Everything Changed Nothing" is available on vinyl over at FatBeats.com. You can also purchase the album on iTunes. If you dig the album, feel free to let Trek know. Links below to Trek online, peace. Took this shot last summer, one of my favorites. Had to bring it out of retirement. Eid Mubarak to all my brothers & sisters! Today was the first time I've had lunch in over 30 days. The first lunch after Ramadan has always been a special one for me. I just appreciate it so much more. Today I took my brother to Qualia coffee off of Georgia ave. in Washington, DC. 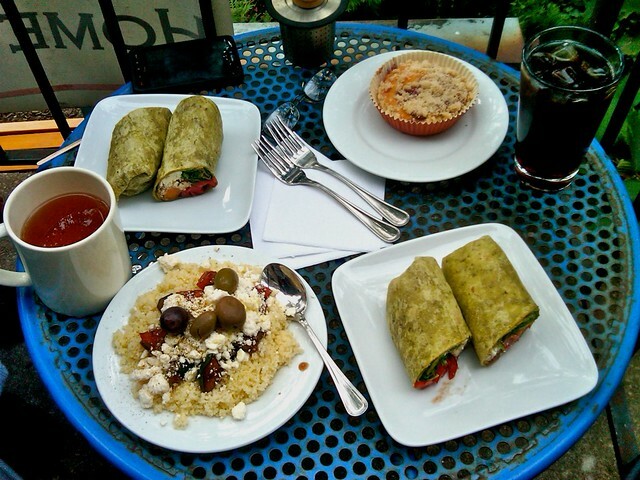 We had Veggie feta wraps, couscous & olives, jasmine loose tea, Ethiopian iced coffee & cherry crumble.If you're in DC or plan on visiting, please stop by Qualia. The coffee is amazing! Toine of DTMD stopped by today. I was working on a beat before he arrived & decided to collaborate with him on it. It came out dope! Expect to hear it in the near future on Mello Music Group compilation. Despite another day of amazing weather, the session was indoors. When recording, birds & dogs in the background just don't seem to work, no matter how hard I try. Summer in DC is tough, the heat, humidity and mosquitoes are enough to stay indoors for 3 months. Days after labor day and the temperature has dropped, a breeze is blowing and the mosquitoes have taken some time off. Perfect day to sit outside with the macbook pro and make beats. Trek got a great write up & interview in the LA Times, check it out. Read the article below or visit the LA Times. Trek Life is so L.A. He bleeds purple and gold, bumps Battlecat and name-drops the oft-forgotten Funkdoobiest in interviews. That’s as L.A. as you can get for someone whose formative years were split between the city itself and West Covina. Yet Trek waves the flags of both the Inland Empire and the 310/323/818 axis. He’s of the generation that came up on both Death Row and Project Blowed. His first experience rapping came in the mid-'90s, over will.i.am’s earliest beats, back when he went by the name Will-1X. He learned how to make records firsthand by watching Atban Klann (Black Eyed Peas 1.0) and Blood of Abraham, two of Ruthless Records’ less menacing outfits. He came up attending the famous Unity nights and even attempted to battle Myka 9 as a callow teenager. 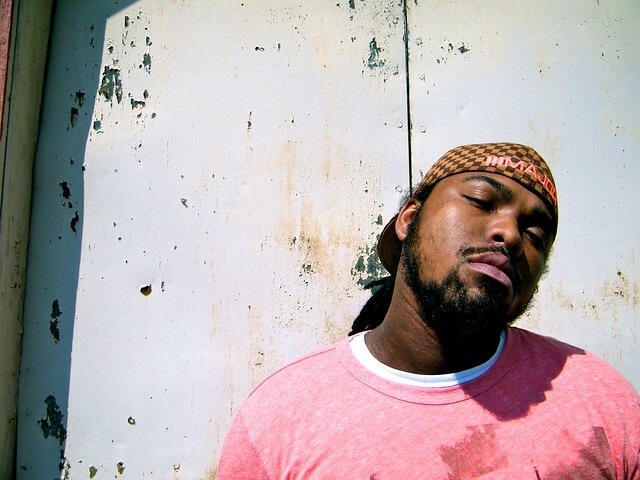 Flash forward a decade and a half and Trek’s sophomore release, “Everything Changed Nothing,” is one of this year’s finest local rap records, a thoughtful, well-crafted effort from an MC versed in regional history and his place in it. 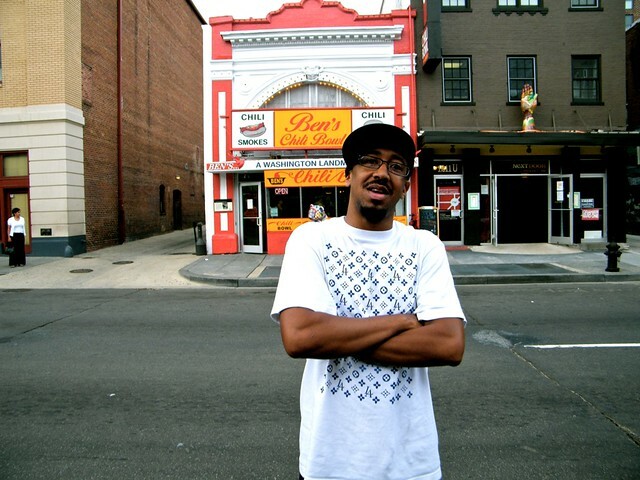 It helps when you have a slate of beats from Washington, D.C.’s Oddisee, who has rightfully asserted his place at the helm of producers working underneath whatever passes for the mainstream. The genesis for the record came when the East Coast producer came west and sifted through Trek’s old record collection: Freestyle Fellowship, Pharcyde and old Ice Cube records, from G-funk to the subterranean thump of the L.A. underground. The result never feels like sonic tourism. Oddisee’s sojourn allowed him to soak up the vibes from the scorching sunshine, swaying palm trees and freeway funk. Meanwhile, Trek artfully uses the canvasses to spin tales of his daughter, cookouts to celebrate law school graduations, and black migration to the West Coast. Released late last month on nascent indie hip-hop imprint Mello Music Group, “Everything Changed Nothing” is smart without being strident, and never loses its sense of place. In belated honor of its release, Trek is premiering “Due West,” and explaining to Pop & Hiss why he’s so L.A.
You went to a lot of Unity Shows as a teen, which is often regarded as one of the last great communal spots for L.A. hip-hop. Does any memory stand out most to you? The most amazing show I saw was Mos Def at the El Hacienda. He had a glass of water, a mike and a stool, and would just go back and forth performing songs, taking sips of water, and then explaining the song like a jazz player -- right down to what the weather was like when he recorded it. Then he’d perform the next cut and completely wild out. What happened when you tried to battle Myka 9? I was a teenager and tried to battle him at Project Blowed. He just gave me a crazy look like ‘What are you doing?’ So it didn’t actually go as planned. It’s one of those stories that my friends laughed about back home in West Covina. When you were growing up, was there a pretty well-established local hip-hop community in Covina or were you guys coming to L.A. every weekend? There was a very strong local community, but it was strongly high school-based. I don’t know if this is true for subsequent generations, but for us, high schools were the main vein. You’d hear about a battle at W. Covina High or a cipher at Rowland High. Then there were the parties and that’s how I got in. A guy named Jinx threw parties locally and he was our connection outside of the city. He was the one that put everyone on and introduced me to Project Blowed and Atban Klann, back when they were still called Grass Roots. What was will.i.am. like back then? Almost exactly the same as he is now. He was hungry, very much a musician and a very creative person. He was just learning how to play the Rhodes and how to produce. 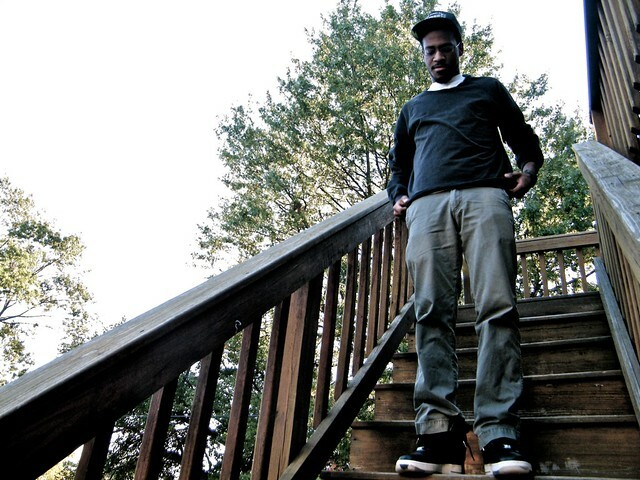 How has working with Oddisee improved you as an artist? Our independent grinds sharpen each other. He’ll say he wants to do something and if the doors are closed, he’ll find a way to open them. If a booking agent won’t book us in Europe, we’ll do it ourselves. He sharpened the way I create too -- not necessarily the way I created music, but the way I approached it. I learned that there needs to be a story built into every record. Oddisee is big on people getting to know you, and he’d be critical if he felt I didn’t give the audience enough of a perspective on who I am. How did the song 'Due West' come about? Were you pretty well-versed in the history of black migration west or did you do research? That came from conversations when I was on tour with Oddisee and Diamond District. Them being from the East Coast and touring with a West Coast person, we talked a lot about family history. Odd’s family is from Sudan and people often think L.A. black history starts with gang-banging. Yet we’ve been here a lot longer than Crips and Bloods. So I started asking my mother and father about how they got here, and my grandma talked to me about moving from Louisiana to California. The main point of the song was that I want to hear other cultures tell their perspective. I can speak on what it’s like as a young black male, but I want to hear 2Mex tell his story, and so on and so on. 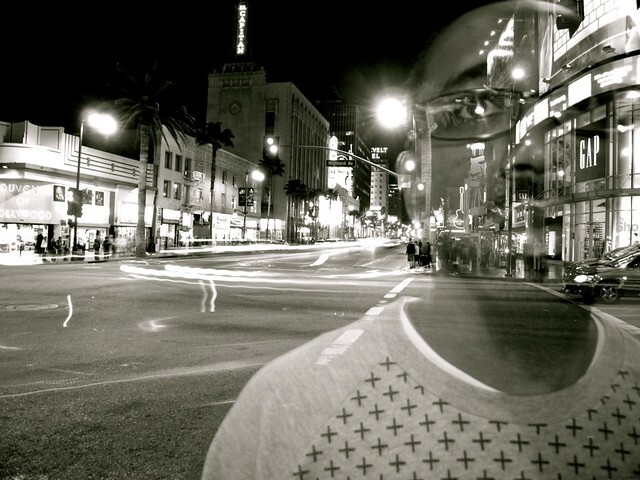 It’s obviously a broad question, but what does being from L.A. mean to you? L.A. is the city that’s too diverse to gentrify. There are so many cross sections of people who interact so consistently. If you and I were out of town and say I mentioned Unity, we could have a two-hour conversation about that and other things. You could be from the Valley and I could be from West Covina, but we’d probably know four or five of the same people. It’s a huge city, but it’s small as far as people knowing each other. To me, that’s the greatness of Los Angeles and why I would never want to leave. There’s just so much to learn here. You just spoke a moment ago about getting who you are across to people. To someone who was unfamiliar with your music, how would you describe yourself? I’m a typical Angeleno in many ways. I’m a father and a worker. I have my big schemes of success. I represent the common duality of the city -- the person who sees the bright lights of the big city, but doesn’t necessarily live in it. The individual who knows what it’s like to be underclass -- someone who’s not that well-known yet, but is capable of stepping outside the box and being the biggest thing. How has being a father impacted your approach to music? I really think about I write now, because I know that later on, she’s going to listen to Daddy’s records. It makes me feel that I can’t be mediocre, because I want her to look up to me as a road map and see what her dad did, and so that there’s no reason why she’d have to fear something like trigonometry. That’s why I started writing songs like “Ready to Live,” because I can’t complain because of her. No matter how hard life gets, I have my little girl and the responsibility that comes with it. 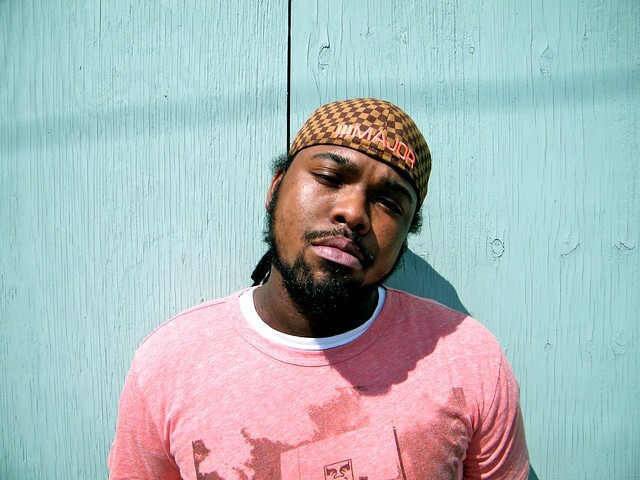 Who are your favorite L.A. rappers? Ice Cube is my favorite MC. of all time. The Pharcyde. Freestyle Fellowship. As far as right now, I’m a big fan of Richard Wright and Skeme. I’m working on a project with DJ Babu -- tentatively titled “Fire Outside.” Since Babu produced my first official 12-inch and helped put me on, it’s high time that we did a project together. “Everything Changed Nothing” was about establishing my place and where I’m from. In the future, I think I’ll have a broader perspective factoring in my experiences traveling. You recently had your album release party at Fat Beats, and that’s going to be one of the final ones there. What do you think the local hip-hop community is missing with the demise of the store? It’s a huge loss in terms of the community aspect. We still have Amoeba, but the thing about Fat Beats is that it wasn’t just about records. It was a meeting place, the spot where I met DJ HouseShoes, where Kev Brown and LMNO did their in-store. It’s devastating to the actual recording community, and it’s going to be hard to see it go. [Free Download] Cortez "Make A Star"
New track from my homie Cortez titled "Make A Star" off his up & coming mix-tape "The Journey" dropping September 28th. I produced this track & it's the first leak off his new project, Check it out. Click Here to download---> "Make A Star"